The Division enjoyed a few months of status as the most exciting shooter in gaming on its release in 2016. An innovative approach to merging PvP with a high-risk, high-reward loot raid area in The Dark Zone gave it appeal that extended just beyond the usual reach of the MMO crowd. However after burning through the story and reaching the endgame, The Division seemed to stall out. 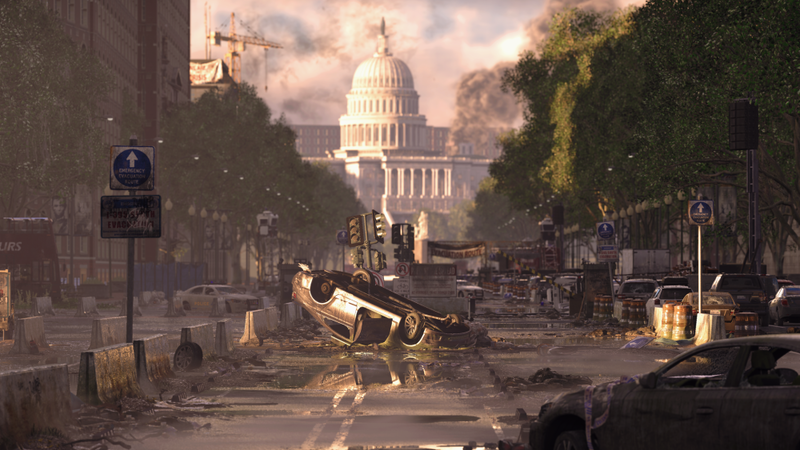 This is an accepted fact for Swedish studio Massive Entertainment, and The Division 2's Live Content Manager Yannick Banchereau is determined not to let it happen again. We talked about how the series has evolved in its move down the East Coast to Washington DC, and how it almost ended up a little further South. What were your goals were heading into this sequel? What we wanted to do was really build on the two, or more than two years experience that we've earned with The Division 1. There's a lot of things that we do right and a lot of things that we wanted to improve on that we could only really truly do with a complete full-on sequel so that was what we really wanted to do was make sure to deliver right from day one an experience that was true to all the learnings and all the things that we've added in the first game and deliver that right from the beginning to our players. Can you break down some of the things that you learned that are applied to this game? The main priority for us when we made The Division 2 was the endgame first. How do we make sure that we deliver a very solid endgame right from the beginning? With the first game we felt that we could do better with the endgame especially. 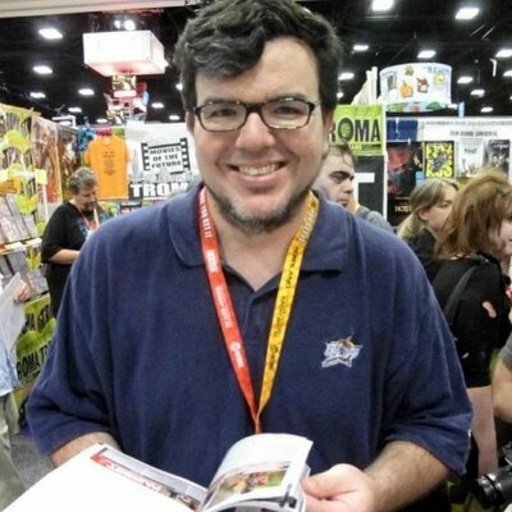 A lot of people gave us feedback right when we launched that the endgame was not exactly what they wanted, so here it was really how do we make sure that we have an endgame that is compelling right from the beginning and that we have a very smooth transition from the campaign path to the endgame so that as many players transition to it and then we have an endgame that everyone feels is consistent and dense enough that they really want to invest a lot of time with it. Talk about the scope and what's happening in the storyline for this game? This game takes place seven months after the outbreak. So it's seven months after the pandemic that started with Black Friday that was spread across the whole nation via infected dollar bills. The nation basically almost collapsed, New York collapsed and in the first game you were trying to save everything in New York because this was the centre of the epidemic. But despite your best efforts it still spreads across the nation. Now we're seven months later, you're coming to Washington DC as a veteran agent, answering a distress call that you received that asked all the agents to come to Washington DC for...reasons, that you're going to have to learn for yourself when you play the game! You arrive and you have to investigate what happened to the government, fight off these factions, help these civilians that have been surviving for seven months on their own and are really struggling to try to band together against all these factions. So these are all the threads that you're going to have to explore as you play the game. Washington DC's the new setting, how have you brought this world to life? 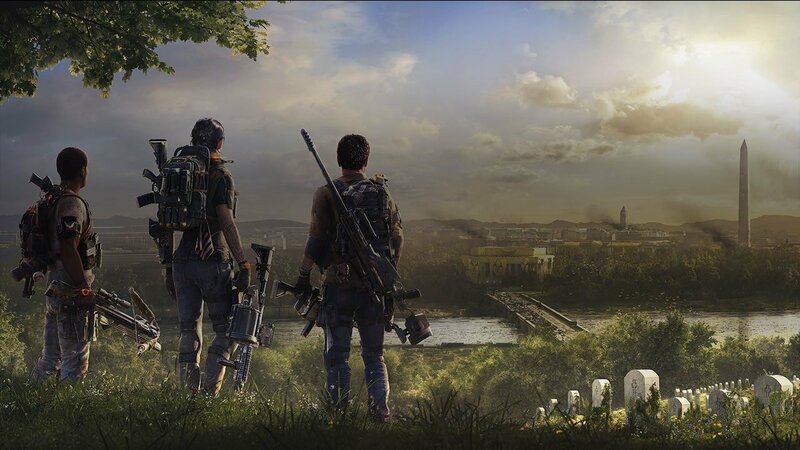 One thing that was very clear to us when we started work on The Division 2 was that we wanted to move out of New York and explore a new city. We explored a lot of options and we looked at New Orleans, we looked at Seattle for example, these were some of the cities. We wanted something that was a bit small, diverse and varied in terms of environment, but we always constantly came back to Washington DC as an idea because we felt it was such a good fit in terms of upping the stakes and the scale of the story. We go from New York which in itself is a very important symbol, to Washington which is another very important symbol. A symbol of power, of the nation. So it made a lot of sense in terms of story. It also made a lot of sense in terms of setting and the gameplay aspect because it's a much more open city, there's a lot of open areas where you can have 360 combat for example. You can have a much more diverse environment, we can play a bit much more with nature for example, it's not just blocks and streets. So there were a lot of reasons why it made sense for us, and then recreating it we used some technology that allowed us to recreate a 1:1 scale of Washington DC so all the streets actually are the streets of Washington DC. And then we took some freedoms in transforming it into our very own version of the city, added the nature and imagined what would happen without seven months of human interaction, how would the nature grow back and how would it take over the city. So these are all areas that we had a lot of fun exploring for our creators. You've gone from the NYC Post Office as base of operations to the White House, what does that say about the levity of the storyline of this game? Again it's this idea of being the state. The post office in New York was a very beautiful building but it's not necessarily extremely meaningful for the nation. And here, when we started exploring Washington DC as where the game would take place, we thought about the base of operation and the only thing that made sense is it had to be the White House. It has to be this symbol of power, and it has to become that symbol, that beacon of hope. It's the place that everybody looks to. It's the place where everything happens, and it has to be the place that you save first, or you take over first, and then from there send this message of hope to everyone that the nation is not down, there is still hope. When it comes to the factions, can you talk to us about some of the new ones that will be in this game? We have three factions in the game, the true sons, the outcasts and the hyenas. And each one of them are drive by very very different goals. One big difference between the factions we have in The Division 2 compared to those in the first game is that in Division 1 the factions were just reacting to what happens and quickly banding together based on their backgrounds. 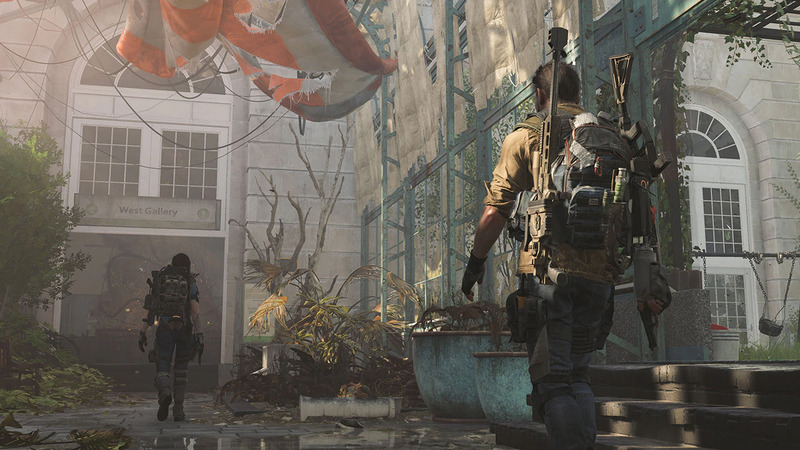 The factions we have in The Division 2 are also driven by a vision of the world. They're driven by what they think the world needs to become, so they're a little more visionary in that way it's just that their vision conflicts very much with what the Division stands for and that's why you enter into conflict. We also approached the AI development completely differently for each faction, to make sure that each one has a real identity in the way that you play against them and the way that they engage in combat against the Division. So you're really going to directly see the different kind of behaviours they have. You also have civilians you'll be working alongside, what does that open up for the game? One thing that's important for us and is a reason why we wanted to advance the timeline a bit to seven months later, was looking at how the civilians of this world organized themselves. How do they, on their own, learn to survive or fight against these factions? And the civilians banded together, they're not hopeless like they were in the first game, they learn to fight and learn to protect themselves, but they're not fully equipped against these super strong factions that you have in the city. So you as a Division agent need to help them, and to do that you need to do missions and side missions to help them get resources to upgrade settlements which are the bases that they have created, and there are a few of them across the map in the game. You help them upgrade their settlements, gather the resources they need and in return they help you by first fighting in the streets alongside you against other factions, and they also help you by sending staff members to the base of operations, to the White House, so that they can help you by getting better equipment, by having more and more resources at the base of operations you can also upgrade your own agents. Speaking of upgrades, can we talk about some of the cool tech and weapons that you can outfit yourself with? We have a bunch of new skills for example in The Division 2 compared to the first one. There are some very bespoke ones that we wanted to keep from the first game like the PEARLS or the seeker mine, some that were very close to the fantasy of the agent. But we wanted to explore new types of skills as well, we wanted to give more control to the players with some of the skills. So now it's not like I drop my skill and it just behaves on its own, now I actually have to control it so there's a little bit more skill play in using the skills. So this is one of the new aspects of the game, the idea is that as you progress you unlock new tech and you become more powerful, get new skills and then those skills can be upgraded as well. So there's really this whole tech aspect and then we have the specializations as well that come in when you reach the endgame parts. This is a whole new progression path for the agent that's also like getting new weapons, new types of items, new gear that you can also upgrade, so there's a lot of different paths for progression in the game for your character. And lastly, this is a huge project. How is Massive working with other studios like Red Storm to get it done? We have a lot of studios, we have six studios working on this game. Massive is the lead studio and then there's a lot of other ones including Red Storm and Reflections, in the UK. The way we approach it is we're trying as much as possible to work on the whole game together, we're trying not to create areas where that part of the game is that studio, like that. We want to make sure that everyone works on everything, so we're really trying as much as possible to use the resources of all the studios as one big production team all working together. The good thing is that of these six studios, four were studios that worked on the first game alongside Massive so what that means is we already have a relationship that is existing. We already have the habit of working together, and all of these studios have the expertise of working on Division 1 so they have the same learnings as we do so it makes the collaboration an easy one.